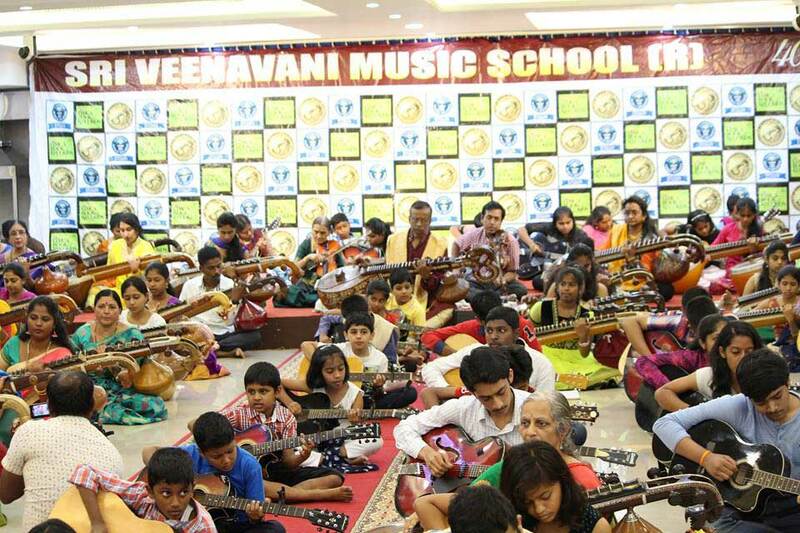 Sri Veena Vani Music School, one of the most well-known music institutions in Bangalore, is no stranger to creating records. 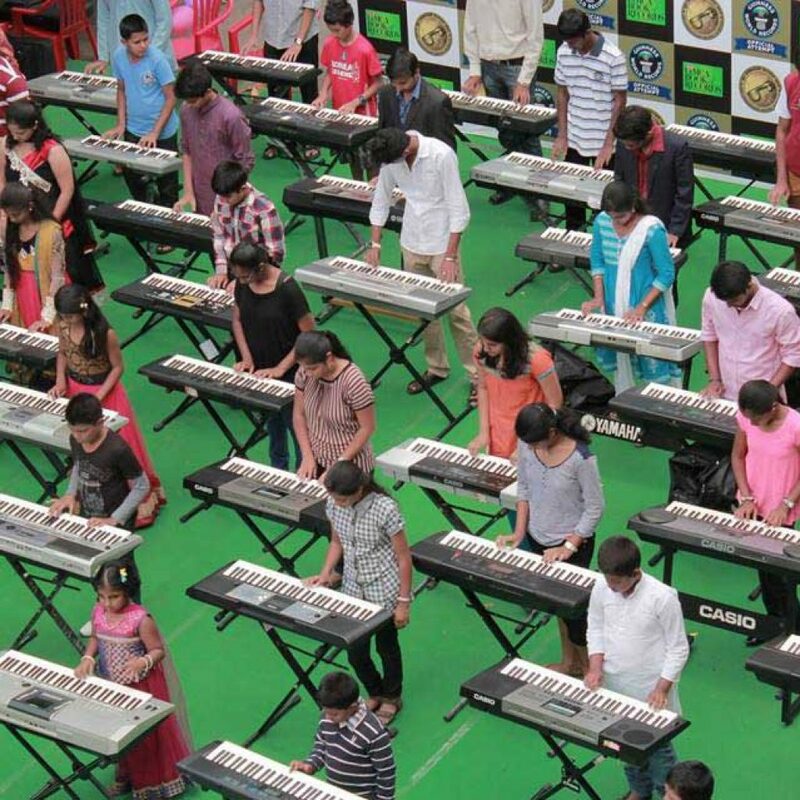 We are the one and only music school in India which has got eleven world records, which include: Guinness World Record, Limca World Record to name a few. 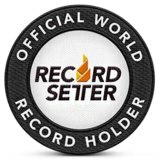 And now, we decided it’s time for another rendezvous with the record books! 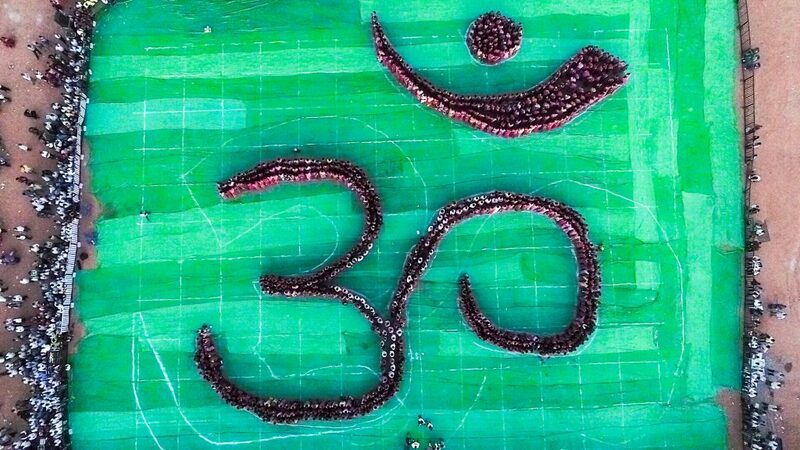 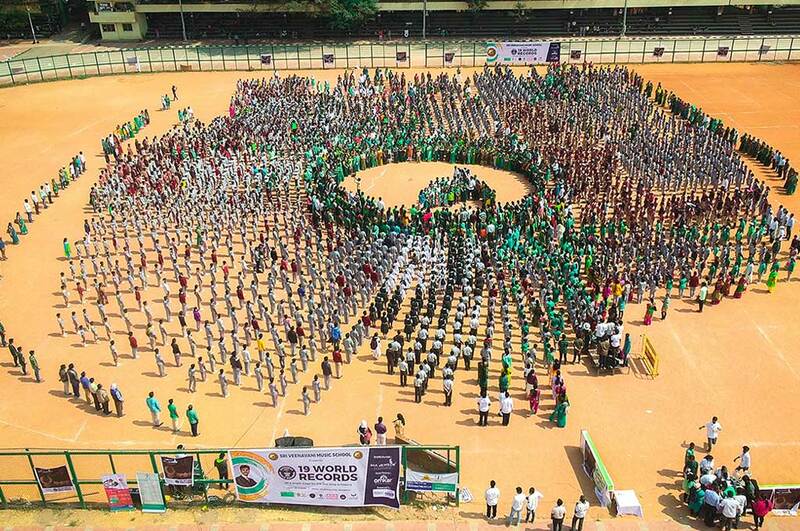 We organized an event on 18th of February named as, LARGEST HUMAN OM SYMBOL with 2212 participants @Bangalore palace grounds this event was organized under the category of largest human image. 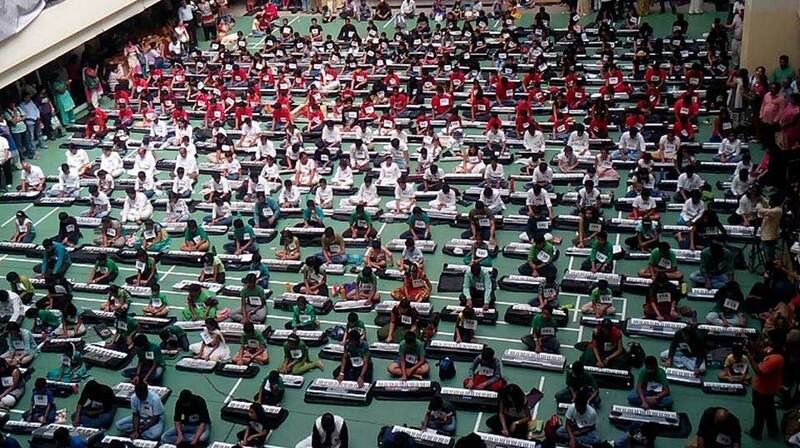 All together we would be attempting 19 world records on a single stage, which is never done before. 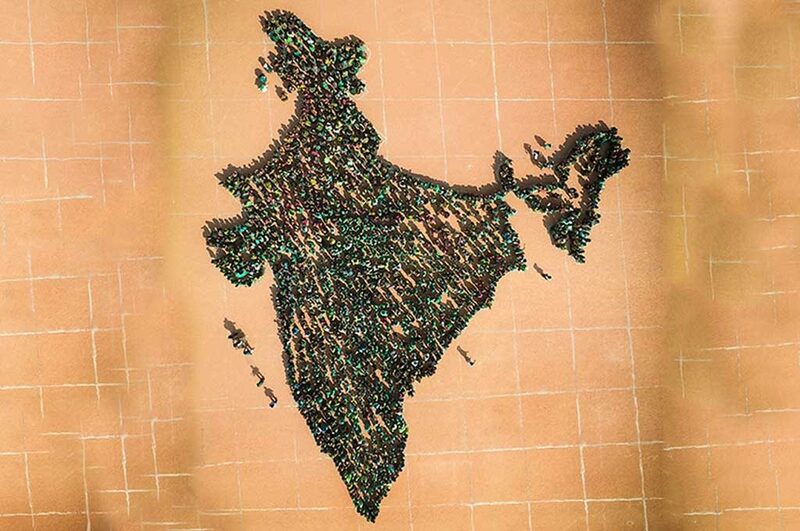 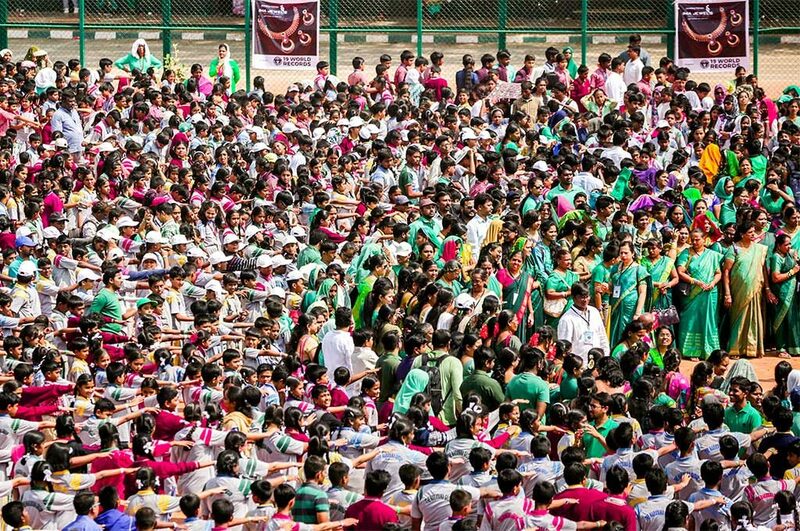 Largest human image of a country/continent – India map(3610 participants) , the state anthem(12000 participants) and largest djambe ensemble(640 participants). 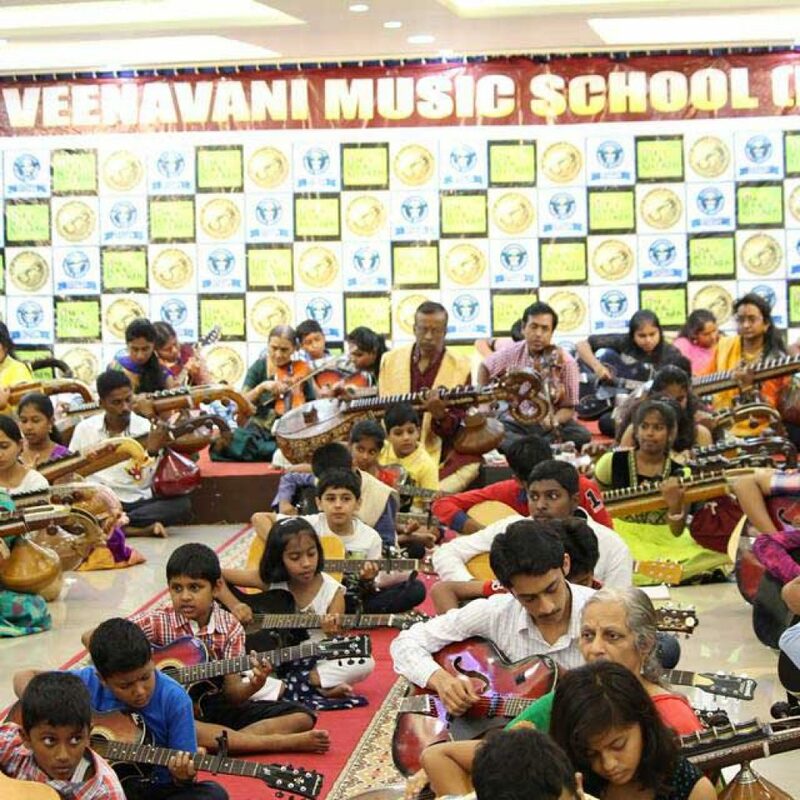 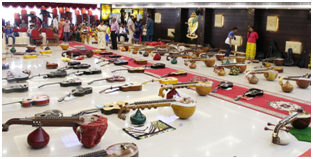 Guinness World Record holder, Sri Veena Vani Music School is a Premier Carnatic Classical Music School in South Bangalore and is currently making landmarks of achievements in the field of music. 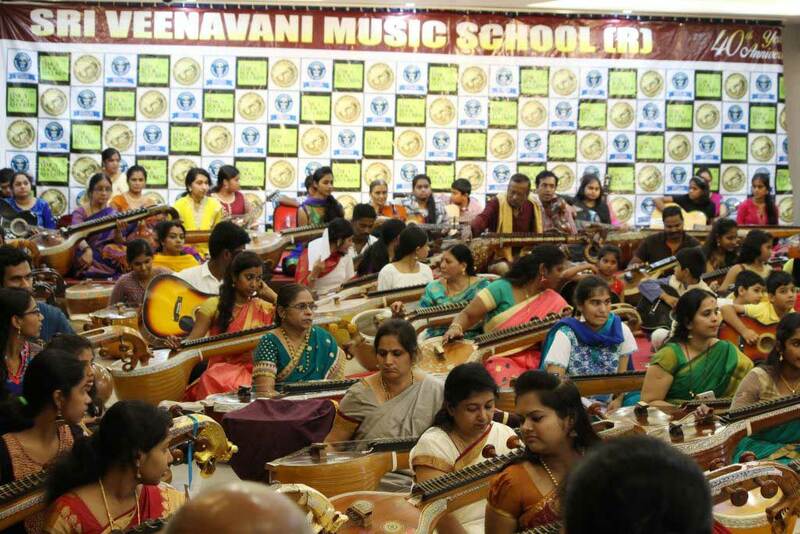 Having made tremendous achievements by imparting music education to over 20,000+ students till date from age groups varying 4yrs to 70yrs and teaching more than 14 different instruments and vocals in Carnatic and Hindustani Styles, Light Music and Playback Singing, The institution takes pride in birthing passions and perseverance for all aspiring students and enabling a platform in all musical facets. 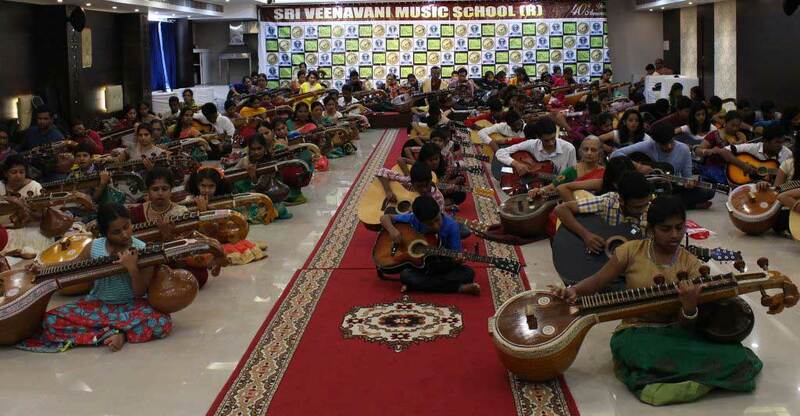 using stringed instruments like Veena, Voilin, Guitar, Sitar, Mandolin etc. 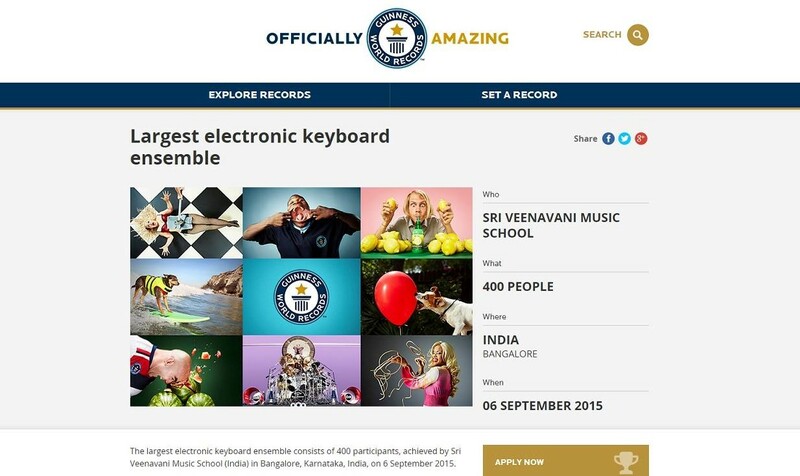 and created a Guinness World Record to document a milestone for (carnatic music) the heritage of Karnataka and India on the whole. 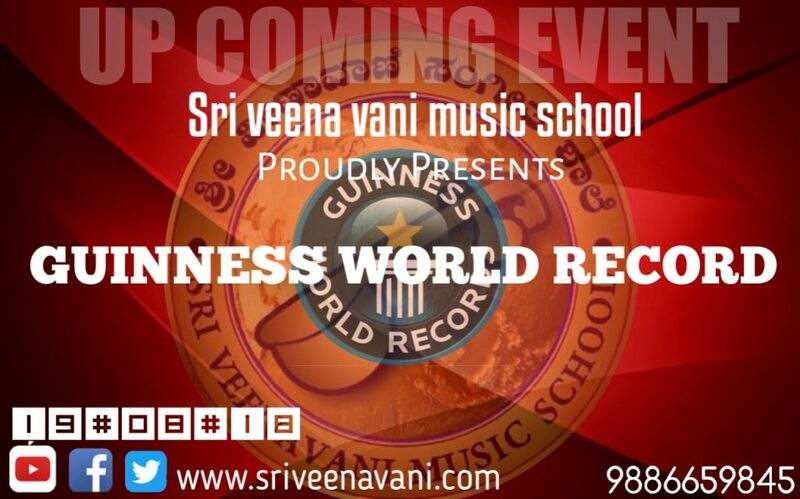 We welcome you to be a part of this esteemed event and partner with us in this epic of Karnataka’s and India’s pride of carnatic music make history with us in the Guinness Book of World Records. 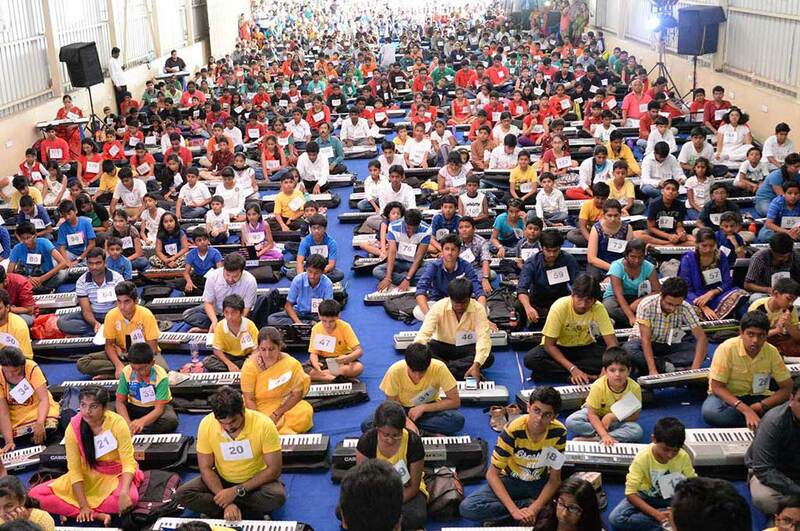 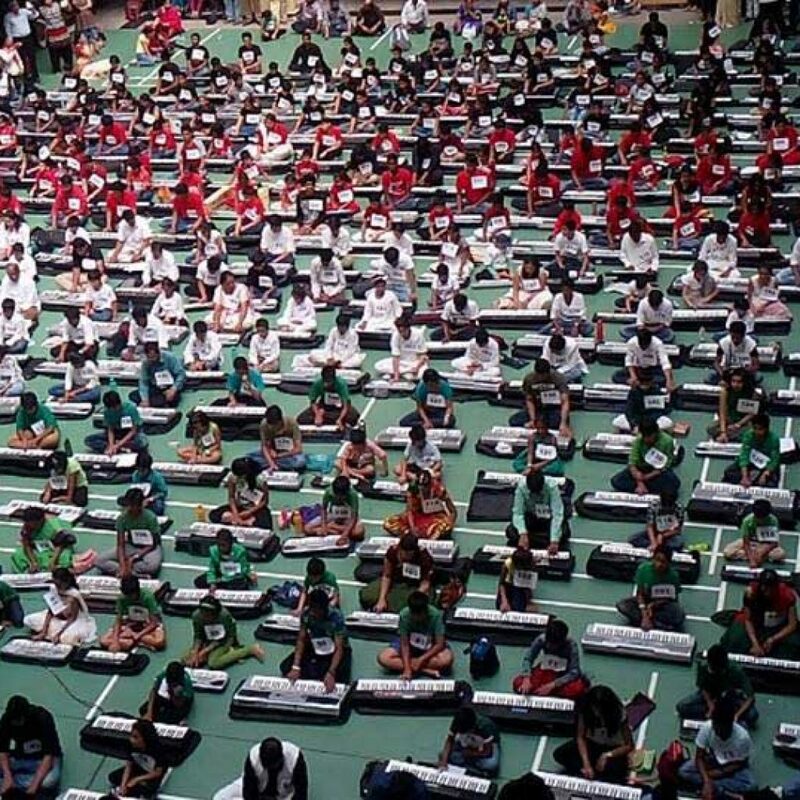 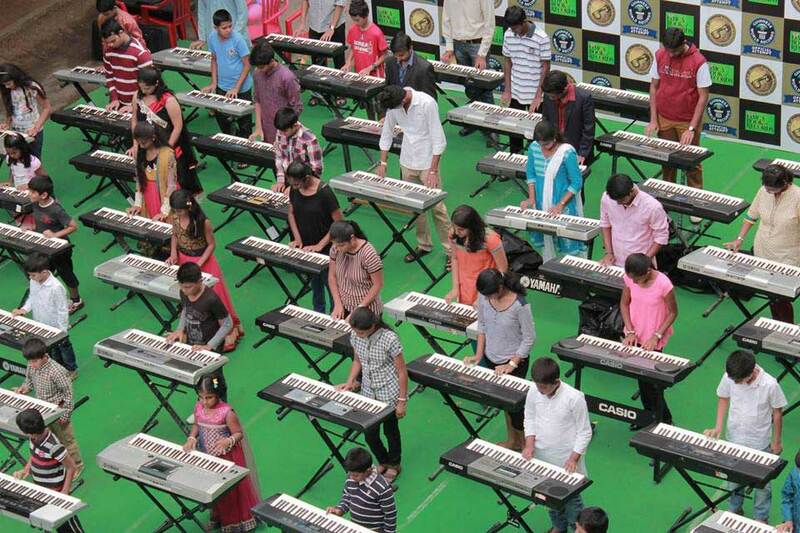 ‘Guinness Book of World Records’ , “limca book of records” and the 5 records ,for the largest keyboard ensemble.